Patented plug-and-knit system. 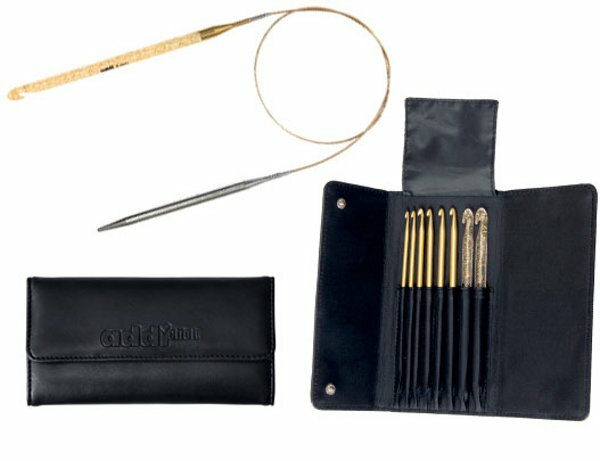 Set includes - 8 crochet hook ends only (3.5, 4, 4.5, 5, 5.5, 6, 7 & 8mm), beautifully presented in handy carry pouch. Great accessory for the addi click system. Ideal for combi hooks - crochet hook at one end and needle tip on the other.